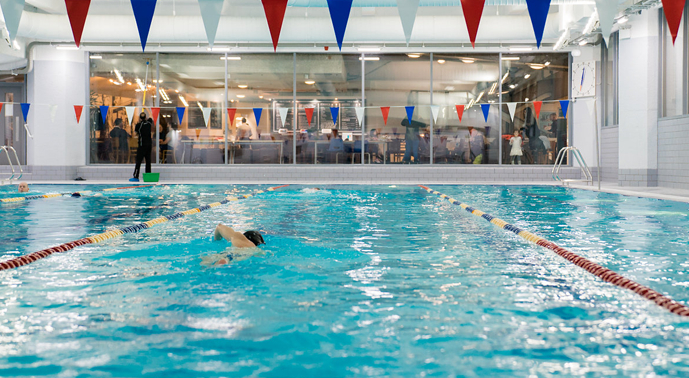 Our multi-lane 25m pool offers a fabulous opportunity for serious swimmers to beat the clock, recreational swimmers to rack up the mileage and beginners to build their confidence. To assist swimmers of all abilities, we have a team of outstanding instructors who are available to guide and enhance your performance. From advice on technique to personalised workouts, our instructors offer a professional and personal approach to achieving your goals. We also work with the Amateur Swimming Association to provide tools that give you ready-made programmes to provide structure and purpose to your swimming sessions as well as trackers that break down your session by individual length, distance, timings and calories burned. Come along, book yourself a free tour and see what you think.